Recommendation: Alfred Hitchcock and romance-humor in one-line is very rare and this is one occasion that you will enjoy it too as it still has the thrills of mystery and murder inter-twined. A friend of mine, Deepa Mohan ( deponti), had referred this movie a while ago. Finally I got to see it. And here is my review on the same. 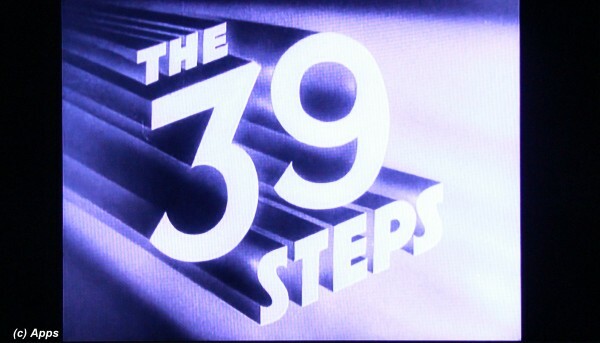 The 39 Steps is a British Thriller released n 1935 and directed by Alfred Hitchcock. It is loosely based on the 1915 novel The Thirty-Nine Steps by John Buchan. The plot is about an ordinary civilian Richard Hannay who gets wrongly accused of murdering a counter-espionage agent and goes on the run with a very reluctant Pamela, in the process trying to dissemble a spy ring called the 39 Steps who were stealing secrets from British military. The movie had Robert Donat, Madeleine Carroll and Lucie Mannheim in the lead roles. Richard Hannay (portrayed by Robert Donat) comes out of a musical theater after a shot was fired during a demonstration of the superlative powers of recall of "Mr. Memory" (portrayed by Wylie Watson) with an obviously frightened Annabelle Smith (portrayed by Lucie Mannheim) who talks him into taking her to his flat. Richard comes to know that she is a spy working for England and is being hunted by two assassins as she had uncovered a plot to steal important British military information by a man with a top joint missing from his little finger. She mentions "39 Steps" and nothing else. From then starts Hannay's very adventurous life which otherwise was anything but - first Annabelle comes back with a map of Scottish Highlands but stabbed brutally; then he is targeted as the murderer of Annabelle; he travels by train to the farm named "Alt-na-Shellach" which was what Annabelle had shown in the map; gets shot by the very man that Annabelle warns him but miraculously survives but only to be hand-cuffed by the local sheriff whom he escapes again; but gets tied down with another lady Pamela as he is on the run - now from the cops as well as the head of The 39 Steps. Thus continues his adventure. But where will this lead him? Will he be able to save the information from being leaked? Will he get the leader arrested? Will he get the spy agency disbanded? Will he get himself exonerated? I have always equated Alfred Hitchcock to thrillers with so much suspense that it brings you chills all over your body. However this one comes with a tinge of romance and humor hidden underneath. This is the second movie of Hitchcock that I enjoyed much without getting as many chills. The first one was The Rear Window (My review of that movie here). 1) Alfred Hitchcock always gives his cameo appearance in his movies. So also he does in here along with the screenwriter Charles Bennett. 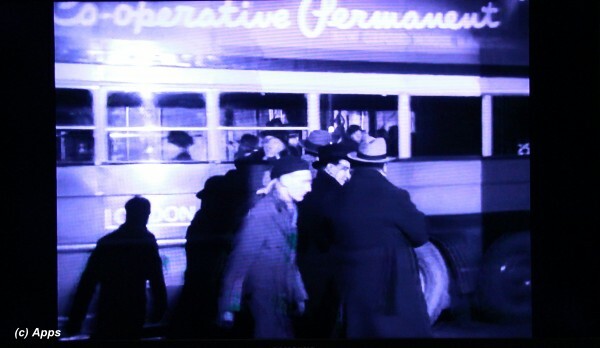 They are walking past a bus that the characters Richard Hannay and Annabella Smith take outside the music hall. 2) He is also briefly seen as an audience member scrambling to leave the music hall during the opening scene. a. In 1959 as The 39 Steps starring Kenneth More as Hannay. b. In 1978 as The Thirty-Nine Steps, starring Robert Powell and John Mills. 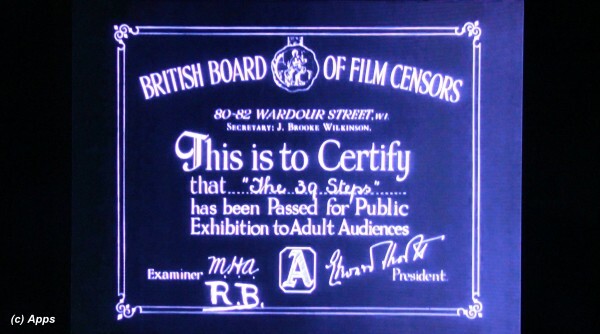 4) Check out how the Censor Board Certificate of British was way back then.